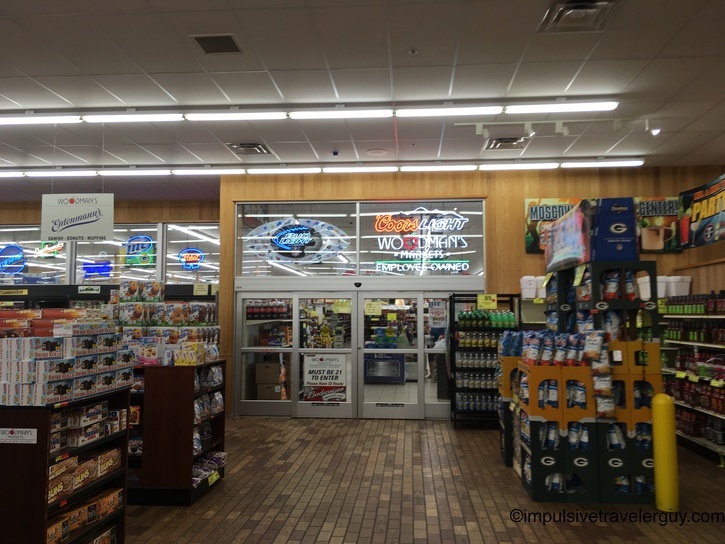 One of the places I decided to stop by on my trip to Madison is Woodman’s. 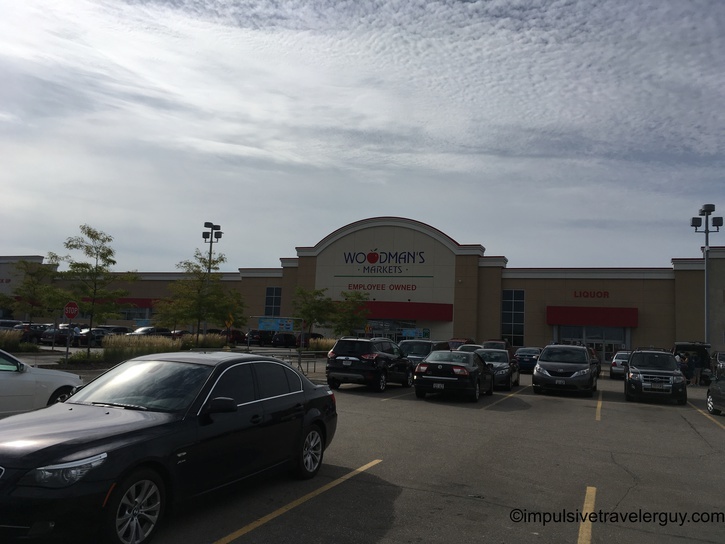 Woodman’s is this huge grocery store chain around the Madison area that is literally the size of a Super Walmart, but just for groceries and alcohol. 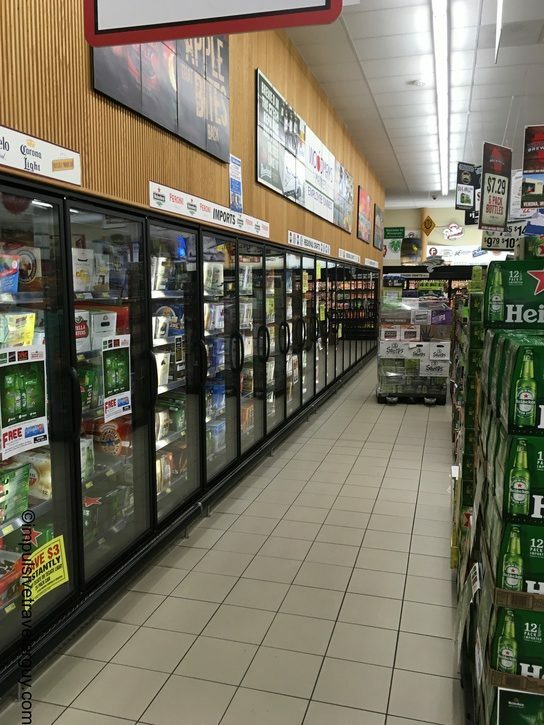 Their liquor department is literally the size of a Walgreen’s, but I’ll get into that later. 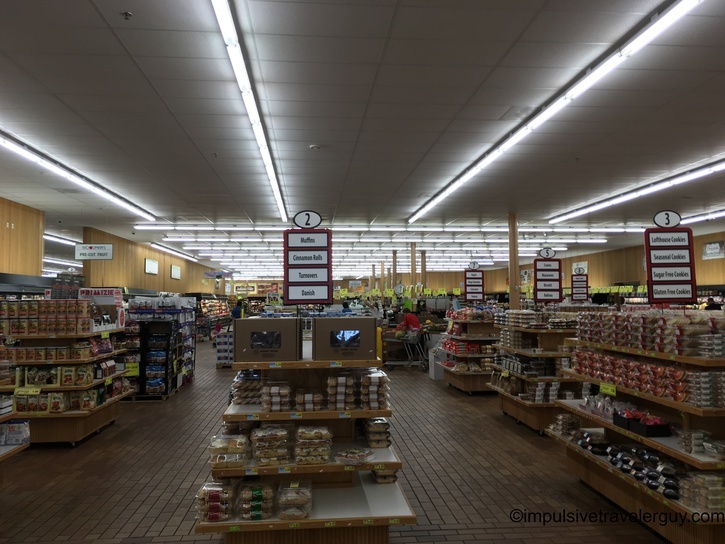 When you walk into the store, you can just feel the massiveness. 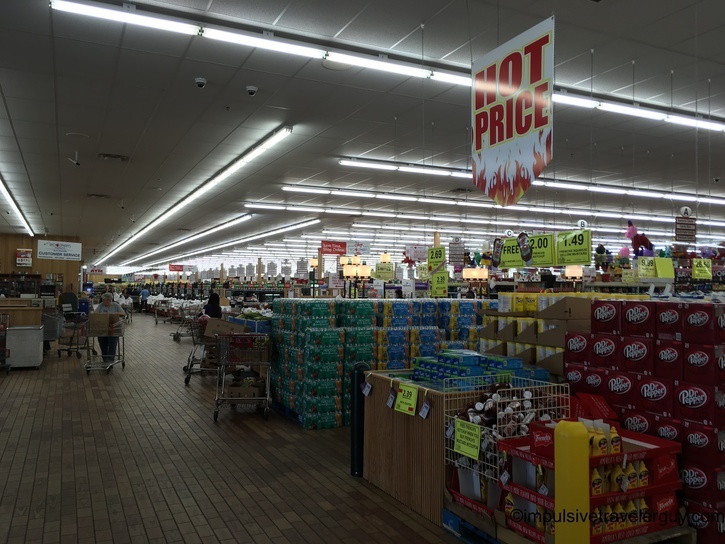 There seems like an endless amount of aisles. 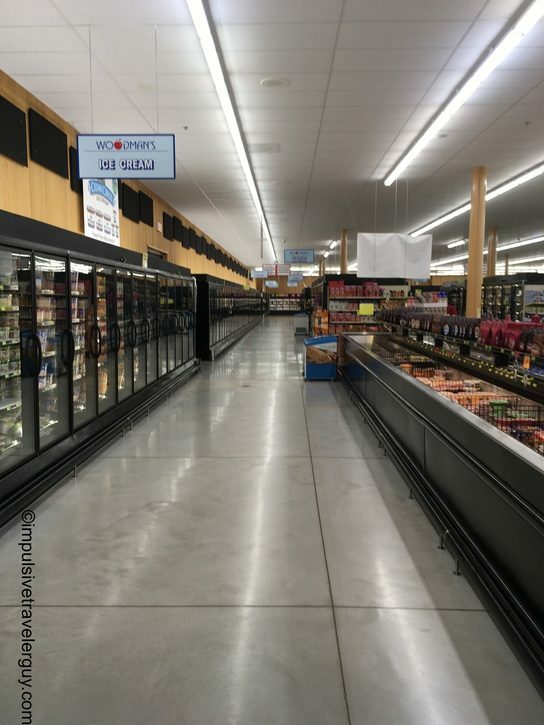 The aisles themselves seem endless in length. 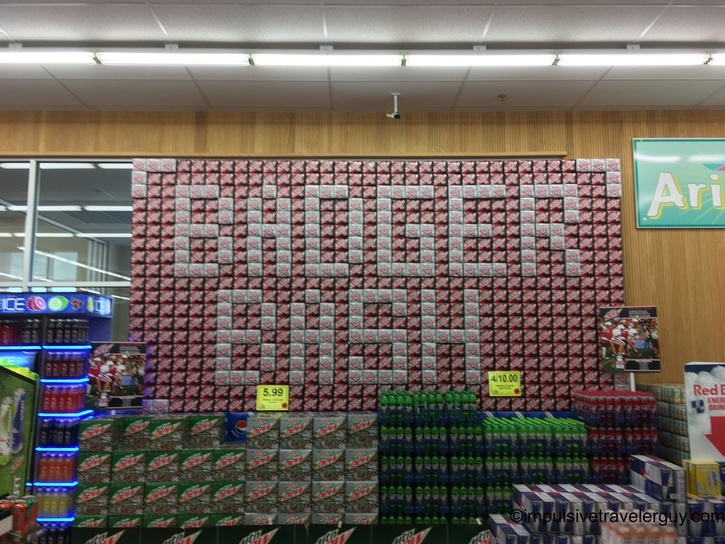 There was a cool Badger display with pop boxes. 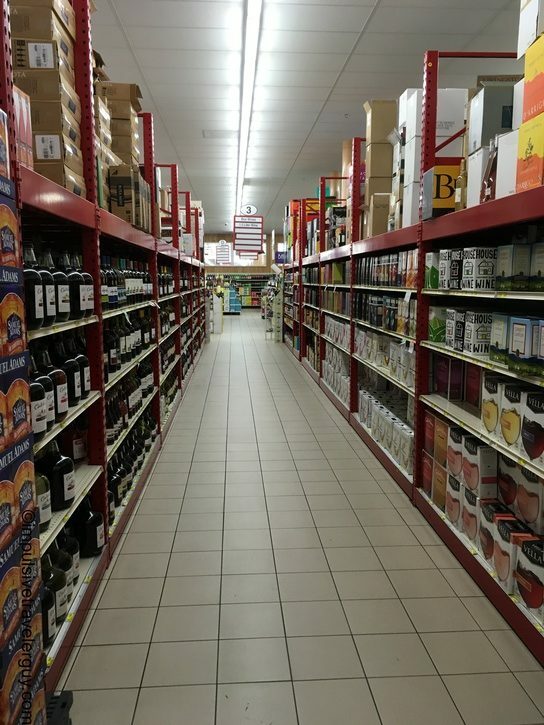 The liquor department is like its own store. 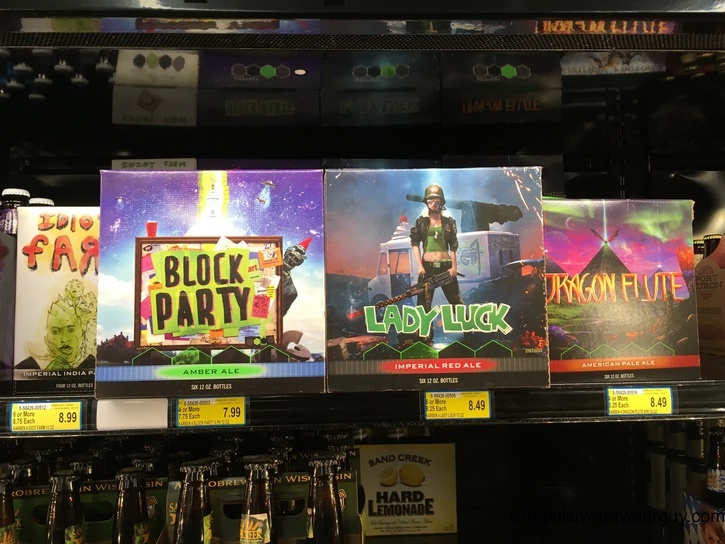 Just like the main store, it feels like there is a massive amount of alcohol (there kind of is). 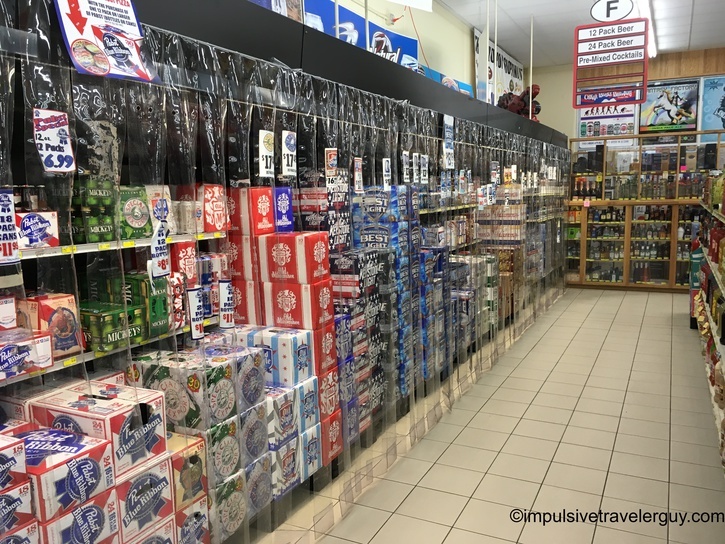 Don’t forget the cheap beer that is sold in large quantities. 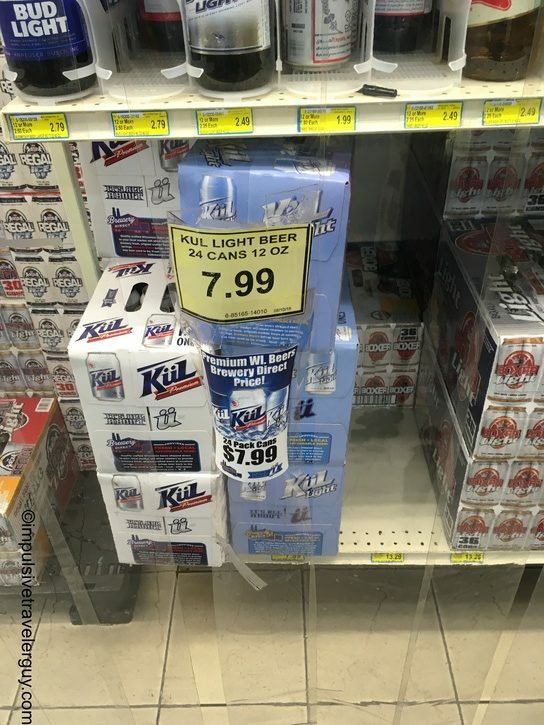 A case of beer for $7.99! 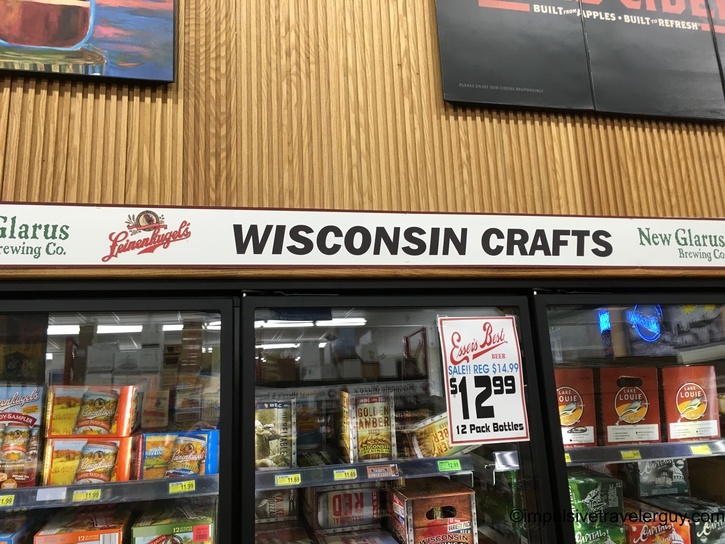 If you’re looking for stuff sold only in Wisconsin, this is your place. 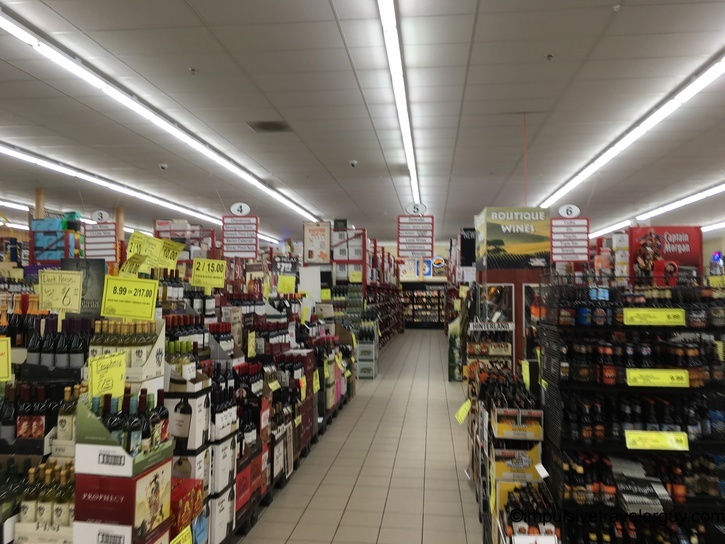 If beer isn’t your thing, there’s long aisles of wine and liquor. 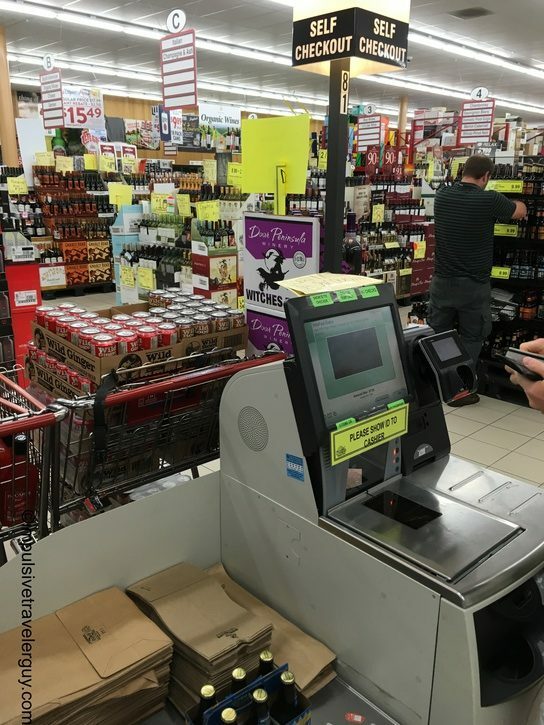 When you get everything you need, there’s even a self-checkout. 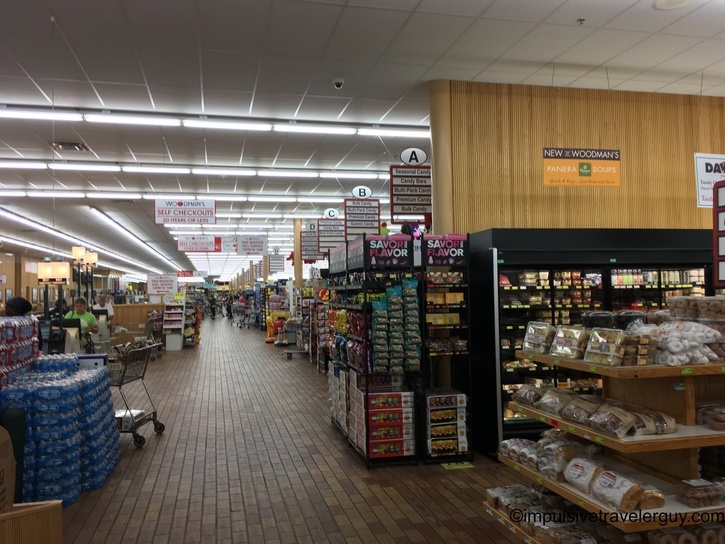 Woodman’s is definitely a cool place to go because it seems like they have everything. 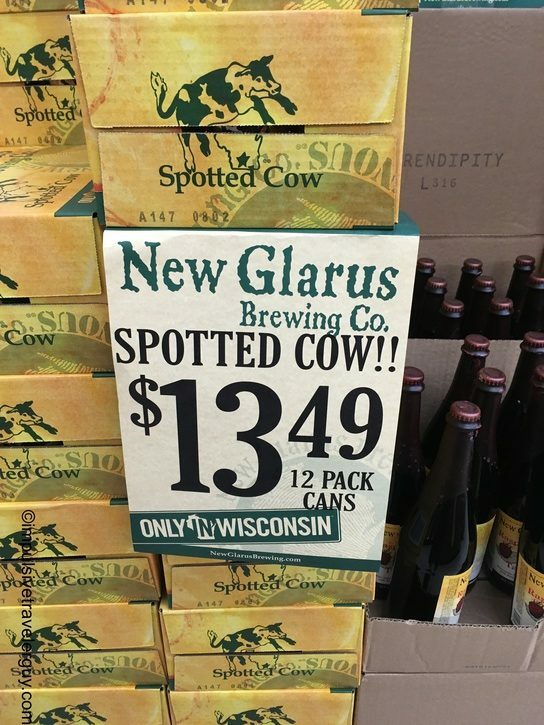 I know when I lived in Madison, I’d hit up the liquor department for their craft brews. I definitely got to sample a large variety. 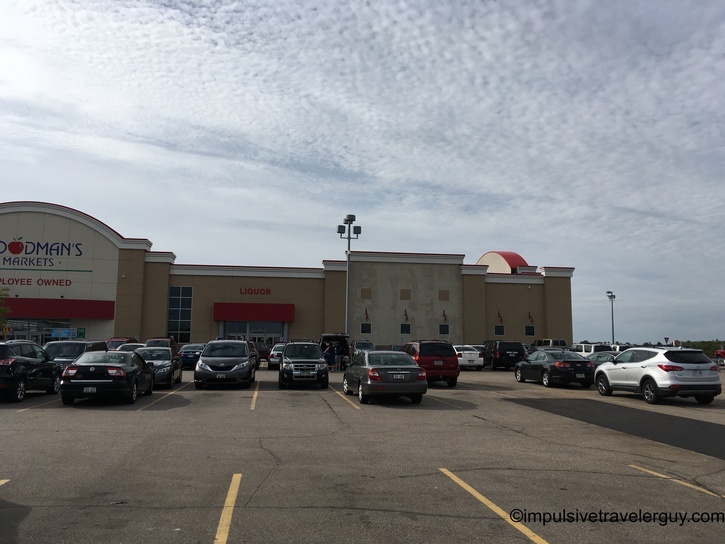 I never grocery shopped there, but if I’m in the Madison area for an extended amount of time, I might have to.